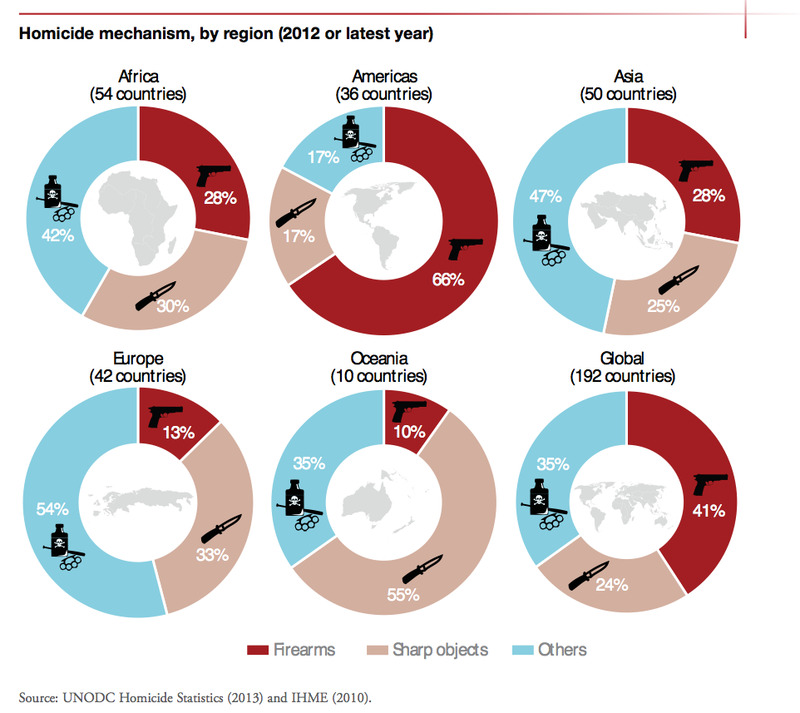 Although the US has a bad reputation when it comes to violent crime, it’s far from the most homicidal country in the world. Central and South America is actually the most murderous region on Earth, and South Africa has a staggeringly high homicide rate as well. America’s homicide rate is comparatively low. South Africa has a homicide rate of more than 30 per 100,000 people, while the US rate is less than five per 100,000. Central and South America are notorious for their drug trafficking and gang problems. Weapons are readily available in South America and many crimes go unprosecuted, according to the UN. The Americas also has a high rate of gun deaths compared to other regions. Europe, on the other hand, has a low rate of gun deaths and a low homicide rate overall. Reliable homicide data wasn’t available for every country, and the World Health Organisation had to estimate rates for some countries.